Whether you stock therapeutic diets or partner with an online seller, the goal is the same: owner compliance and steady revenue. With the help of some manufacturers, offering clients the convenience of home delivery grows easier all the time. For a time, veterinary food sales belonged, logically enough, to veterinarians. But then big-box stores and online retailers began selling therapeutic formulas as well. Chewy.com, for instance, asks the customer for her veterinarian’s telephone number and calls to get the OK for the desired therapeutic diet, then ships it. How can veterinarians compete with this ease of ordering and convenient delivery? “Rather than looking at online retailers as competition, it’s helpful to consider food purchases from the perspective of pet owners today,” said Kristine Costello, senior brand manager with the Professional Engagement Team at Purina Pro Plan Veterinary Diets. “Online shoppers report making 52 percent of their non-grocery purchases online,” she said. “Fortunately, veterinarians aren’t limited to the traditional strategy of only selling pet foods — whether therapeutic, well pet or both — in their clinics. Partnering with online pharmacies is one option available to practitioners. As always, the practice’s secret weapon is caring about the client. 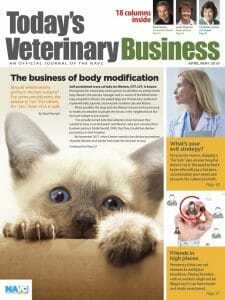 “Veterinarians can focus on the personal touch, provide high-value pet health care services and offer customized nutrition recommendations,” suggested Victoria Carmella, DVM, director of veterinary services at Blue Buffalo Co. The key is making it easier for customers to buy pet food. “Veterinary clinics can offer unexpected service and access to simple, free auto-delivery programs that have been shown to increase client compliance in feeding therapeutic diets,” Dr. Carmella said. One option, Dr. Lenox said, is for the clinic to track when a client gets a new bag or case of food. For example, Purina Pro Plan Vet Direct is a free program through which a veterinary clinic can set up clients to order both Purina therapeutic formulas and Pro Plan well-pet diets online and receive free home delivery. Inventory space is an issue at nearly all veterinary clinics, Dr. Lenox said. “The best option is to keep the most commonly sold diets and the most urgently needed diets in stock,” she said. “Urgently needed diets would include things like gastrointestinal diets for patients with gastrointestinal upset. With the flexibility available through online pharmacies and food manufacturers, there’s no reason the veterinary clinic should limit food sales to therapeutic diets, the experts say. “Similar to questions around inventory space, selection or display, decisions should be viewed from a category management standpoint,” Dr. Lenox said. 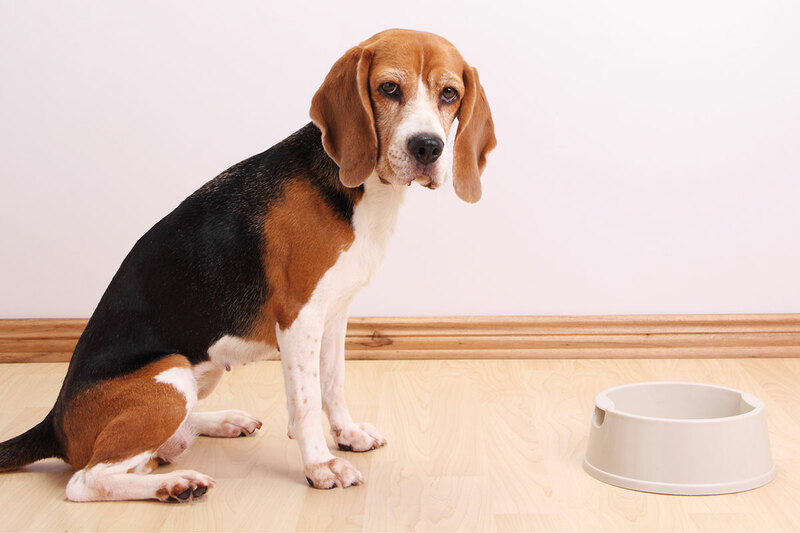 “Vets can offer the healthy pet diets sold in stores. They can be ordered online through the manufacturer’s website or orders can be coordinated through the online pharmacy. Diet recommendations should be left to the clinician, said Blue Buffalo’s Carmella. “Veterinarians make individual decisions about the role of nutrition in their respective practices,” Carmella said. “We work closely with veterinarians to meet the needs of their clients and patients by providing effective, high-quality therapeutic diets and premium OTC dog and cat foods. “Our key messages in lunch and learns, dinner meetings and sales calls are consistent,” she said. “We provide veterinarians with natural formulas that help manage specific therapeutic dietary needs. Costello, of Purina Pro Plan, said there’s no substitute for the value of the relationship between the veterinarian and the pet owner. “Just as medication use should be prescribed and monitored on an ongoing basis by a veterinarian, so should the use of therapeutic diets,” she said. Royal Canin’s Dr. Lenox said food sales are just as much, if not more, about client compliance to dietary recommendations as about revenue. Veterinary teams can help keep food sales within the clinic by letting clients know how easy it can be to order and buy therapeutic and premium well-pet diets through the practice. Kristine Costello, senior brand manager of the professional engagement team for Purina Pro Plan Veterinary Diets, offered the following sample script. Veterinary nurse: According to Dr. Smith, our goal is to help Casey lose 10 pounds between now and your next appointment in six months. As you know, feeding the right amount of the right diet will be very important to his achieving that goal. Dr. Smith has prescribed [product name] for him, which is a special weight-management diet, along with [product name] treats. Client: So, this is a specially prescribed diet? Does that mean I have to come back here to buy more food? It’s a 45-minute drive for me with traffic these days. Nurse: We’ll send a 6-pound bag of the food and a bag of [product name] home with you today to get Casey started, but you can actually order his refills online and have the food delivered to your home. I’ll provide you with our clinic’s code and give you the information on enrolling him. It’s really easy. A lot of our clients actually set up their food purchases with automatic renewals so they don’t run out of food. Veterinary nurse: What are you feeding JJ? Nurse: Do you know you can order that through our online pharmacy and have it delivered to your home within a few days? You can also have it set up to auto-ship at a certain interval, so you don’t run out if you forget to order it in time. Client: How do I contact the pharmacy? Nurse: You can reach it through our website. Here’s a card with our information and the pharmacy’s. Let me know if you have any problems ordering. Marilyn Iturri is a freelance editor and writer specializing in veterinary and pet topics.